Locations of your control panel: When choosing the locations for control panels, make sure intruders cannot find it easily. Also ensure they are accessible for you and your family members in case of emergencies. Number of keypads: Also consider the number of keypads to install inside your home. You may need at least two, one by the front door and another by your main bedroom. Sonitec USA has reputable home security system installers to advise you on any other details that you might have missed. 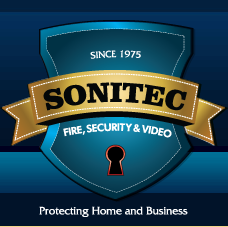 Sonitec Fire, Security & Video has been designing, manufacturing, installing, monitoring and servicing both residential and commercial clients systems for over 40 years. Our user-friendly systems always combine the best value with the best equipment options. Generations of customers have entrusted us with their protection. Our service locations include the Bronx and Westchester in NY. Call 914-363-0574 to choose a right security system for your requirements.